This month in the Serva Pool Gallery we are pleased to exhibit the work of local artist, Meiasha Gray. 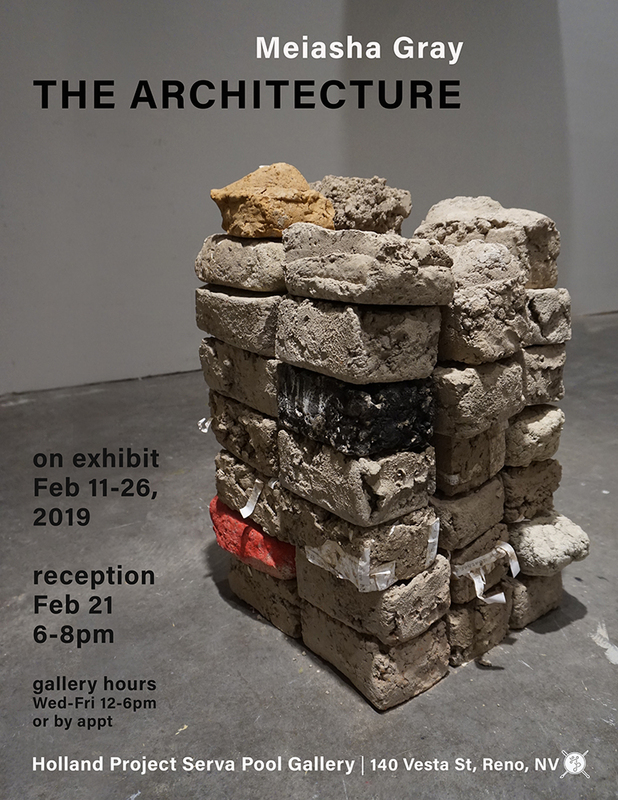 Consisting mainly of clay and mixed media sculpture Meiasha’s exhibit, The Architecture, is a result of intuitive and visceral decision making. Through her process driven approach to handling materials, Meiasha presents to the viewer a body of artifacts and experiences that have been discovered through the actions of remembering, forgetting, listening, and building. A reception with the artist will be held on Thursday, Feb. 21st from 6-8pm in the Serva Pool Gallery at the Holland Project. The exhibition is on view from Feb. 11th – 26th with gallery hours from 12-6pm Wed.-Fri. or by appointment by contacting alisha@hollandreno.org or calling 775-448-6500.